Thousands are gathered is Tamir Hall in Yerushalayim to hear the words of R’ Chaim Kanievsky Shlit”a and R’ Gershon Edelstein Shlit”a, along with many members of the Degel HaTorah party. 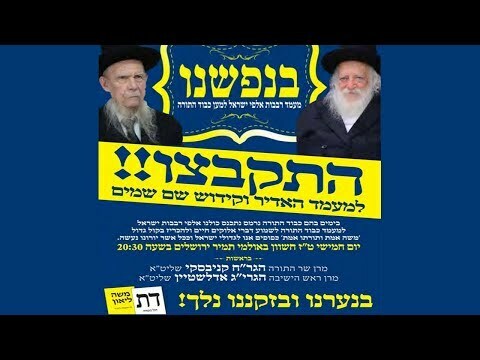 Hundreds of Roshei Yeshiva and Rabbonim from all over Yerushalayim have come to take part in this great event. R’ Boruch Mordechai Ezrachi Shlit”a, Rosh Yeshiva of Ateres Yisroel, cut short a trip to America just to be able to attend.